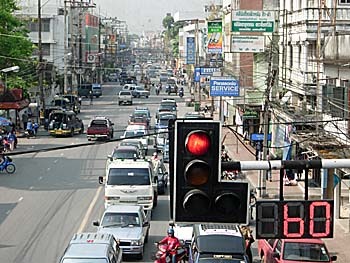 The city of Nakhon Si Thammarat lies some 780km south of Bangkok, close to the Gulf of Thailand. In former times Nakhon Si Thammarat was a coastal city with an important port, but due to silt sedimentation the coastline moved until today for 26km east. The shape of the city, which expands much in a north-south direction, has it's origin in the fact that it was placed on a flood-save dune. The city with some 110,000 people living here is a province capital of the province of the same name. The name of the place is a Thai derivation of the Pali/Sanskrit name 'Nagara Sri Dhammaraja' (City of the Sacred Dharma King). Nakhon Si Thammarat's economy is based on agriculture, particularly orchards in the surrounding landscapes, and mining in Khao Luang (Mountain) Massive. Since the place is since long also a religious center, goldsmiths and other artisans create a certain kind of jewelry, typical for Nakhon Si Thammarat. Nakhon is not a touristic place. There is a connection to the Phetkasem Road, which is the main north-south highway in south Thailand. Nakhon Si Thammarat also has a railway connection to the main railway line which connects Bangkok with Singapore. Outside of the city is also an airport. While the city lies on a coastal plain, west of it the landscapes are rising up to mountains and a high plateau, coined by tropical rainforest with waterfalls. The highest peak of south Thailand is Khao Luang (1835m). The province of Nakhon Si Thammarat has about 1.5 million inhabitants, of who 93.1% are buddhists and 6.2% muslims. Interestingly, the seal of the Province of Nakhon Si Thammarat shows in it's center the chedi of Wat Phra Mahathat Voramahaviharn, one of the most important historical centers on the Malay Peninsula. The chedi is surrounded by twelve signs of the Chinese zodiac, representing the places who were tributary to the kingdom in it's past. 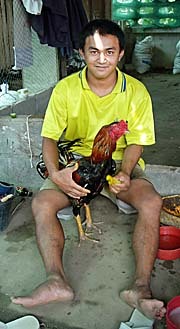 Among them are Songkhla (rooster?) Trang (horse), Phattalung (snake), Chumpon (goat), Kraburi (pig) Pattani (ox), Kedah (dragon) and Kelantan (tiger). A northern part of the former city wall with the old north gate (Prathu Chai Nua or Prathu Chai Sak) is well restored. The wall is mentioned in the city chronicles from 1278 CE already. There were two restorations done; one in the 14th century under the rule of king Ramesuan (Phitsanulok) and the second in 1686 in the reign of king Narai of Ayutthaya (with his well preserved residence palace in Lopburi). French engineers were involved in this second renovation. In the past the city wall enclosed a space of 1km2. Since the state of the city wall nowadays is pretty good, there has been more restoration work in recent time. As a place of historical significance Nakhon Si Thammarat has a national museum with a remarkable collection of artefacts. A Vishnu sculpture dates as far back as to the 5th century. 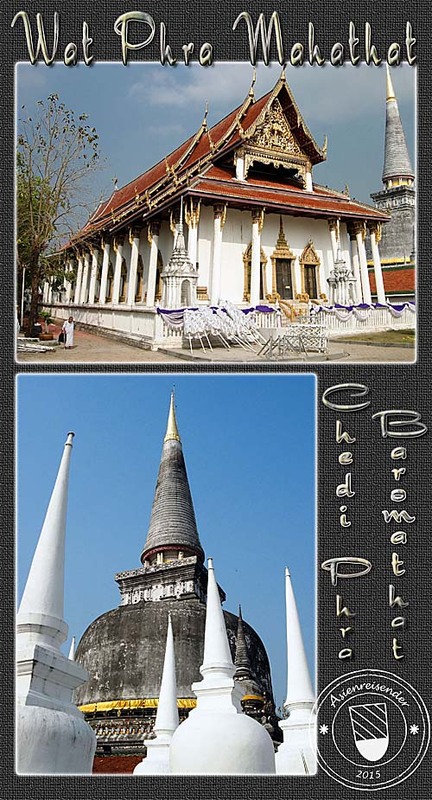 The main temple Wat Phra Mahathat with the large stupa Chedi Phra Baromathat is a symbol of the city and province. It was built in the founding time of the city and is one of the oldest temples in whole Thailand. Besides it's a royal Thai temple of the first class. It's said there is an original relict of Buddha conserved in the temple - it's one of his theeth. The chedi is impressing 74m tall, surrounded by 173 smaller chedis. It's dating back either to the 5th or the 8th century and represented Srivijaya architecture. Expanded and enlarged in the 13th century in the then Sri Lanka style, it got it's appearance as it still looks nowadays. 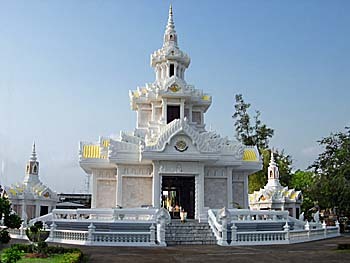 North of the chedi is the viharn kien placed, including a small temple museum. Nakhon has a remarkable shadow puppet tradition what links the place with Indonesia, namely Java, where shadow puppet plays are part of the traditional culture. 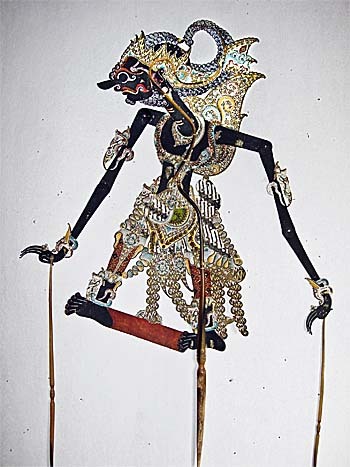 In Suchart Subsin's puppet house is a small puppet museum with a workshop attached. There is an archaeological park on Khao Kha (mountain) with a laterite shrine and 1,500 years old remains. Namtok Phromlak is a three-level waterfall in Khiriwong. In Nopphitam is a huge cave with a subterranean river system. Some 80km north of the city at Khanom are some beaches. There are three national parks in the province; beside Khao Luang Massive there is Hat Khanom-Mu Ko Thale Tai which is mostly covered with tropical rainforest and mangrove shores. Namtok Yong is a new national park of a size of 205km2. Nakhon's history dates back for long. Under the name of 'Ligor' it was one of the centers of the Srivijaya empire (which was one of the first empires in Southeast Asia, located at Palembang on Sumatra). Ligor was a port city on the sea route between China and India. Over all the centuries it remained an important trade port and a political and religious center. In 1292 CE troops from the old Thai kingdom of Sukothai, then under the rule of king Ramkhamhaeng, conquered the city and incorporated it into the Sukothai empire. Nakhon is listed on the famous Ramkhamhaeng stele as being in the realm of the empire. After Ramkhamhaeng's death in 1298 Nakhon Si Thammarat became an independent kingdom with it's own tributaries on the Malay Peninsula. In the second half of the 15th century Nakhon became a tributary of the emerging empire of Ayutthaya. In 1516 the Siamese king Ramathibodi II of Ayutthaya gave a concession to the Portuguese to found a trade post at the place. Becoming a firmly incorporated province of Ayutthaya in the 16th century, Nakhon's importance rose considerably as one of the most important places in southern Siam. As an important trade port which attracted also European merchands like the Portuguese, Dutch and the British, the place became wealthy. 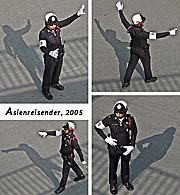 A tendency for independence remained awake. When it came to monastic power shifts in Ayutthaya in 1629 and at the 'Siamese Revolution' of 1688, Nakhon Si Thammarat aspired for independence. The same happend after the historical conquest and destruction of Ayutthaya by the Burmese in 1767, although it got reintegrated two years later by the new Siamese king Taksin, the founder of the post-Ayutthaya Thonburi kingdom. Some years later, in the Siamese-Burmese war 1785-92 the place was conquered by Burmese troops, without much resistance, and remained temporarily under Burmese control. As a reaction to the colonial threat of Britain, an administrative reform in the early 20th century granted Nakhon Si Thammarat a central status in the southern provinces of Siam, being superior over the neighbouring cities of Phattalung and Songkhla. After the abolishment of absolute monarchy in 1932, all provinces of Thailand got an equal status and were now directly subordinated under the central government in Bangkok. In the 1960s and 1970s the province of Nakhon Si Thammarat was a theatre of civil war, when the communist party and it's armed fights against the Thai government happened. The communist 'peoples liberation army' fought a guerilla war from their jungle bases in the mountains of Nakhon Si Thammarat Province.